"Good quality but you need to be psychic to put it up with the plans provided"
"Ich bin mit dem Einkauf sehr zufrieden." 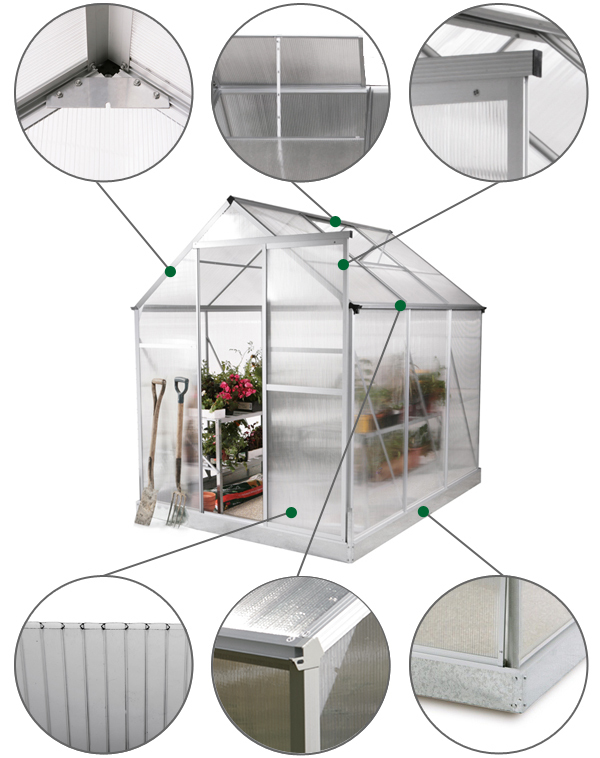 "The numbered parts of the greenhouse were numbered incorrectly." "Über´s Gewächshaus kann ich leider noch nichts sagen, da es erst im Frühjahr aufgebaut wird." "Working properly, we installed shelves and our young plants seem very pleased." "Spot on in every aspect cheers"
"bon matériel ( voir à l'usage) notice de montage :agrandir les schémas et mettre aussi les explications en Français"
"Great purchase was easy to assemble despite some of the reviews. Just have to read the instructions properly"
"Wanted dedicated house for growing tomatoes. Took some time to build, need to check instructions carefully and take your time. Quite sturdy now in place and on base."